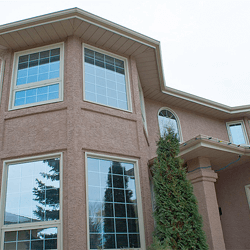 Vinyl Window Desert sand window frame, commercial brown brickmould trim. 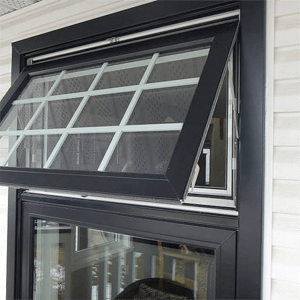 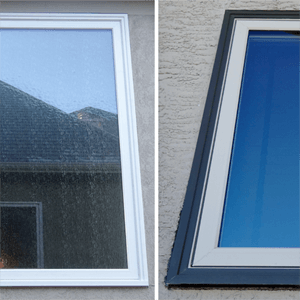 Vinyl Window With Black Capping TrimWindow is Black exterior, White interior and Low E dual pane glass. 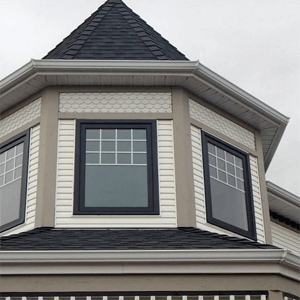 White grilles between the glass on the awning window. 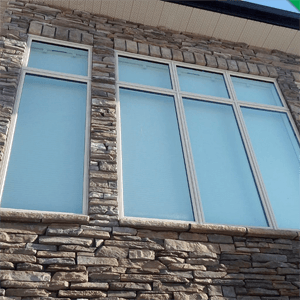 Large Specialty Picture Window With No TrimStone up against window frame. Window is Desert Sand exterior, White interior with Low E triple pane glass. 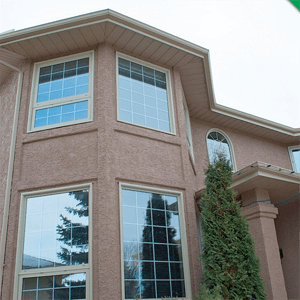 Full Exterior RenovationDesert Sand vinyl windows, white interior with white grilles. Simply Yours sprayed stucco with new paint, did fascia, soffit, eavestroughs and roof. Vinyl With Brickmould TrimOne is solid white, while the other is two toned, both white interior. The white window has Low E obscure glass, while the two toned one has Low E triple pane glass. 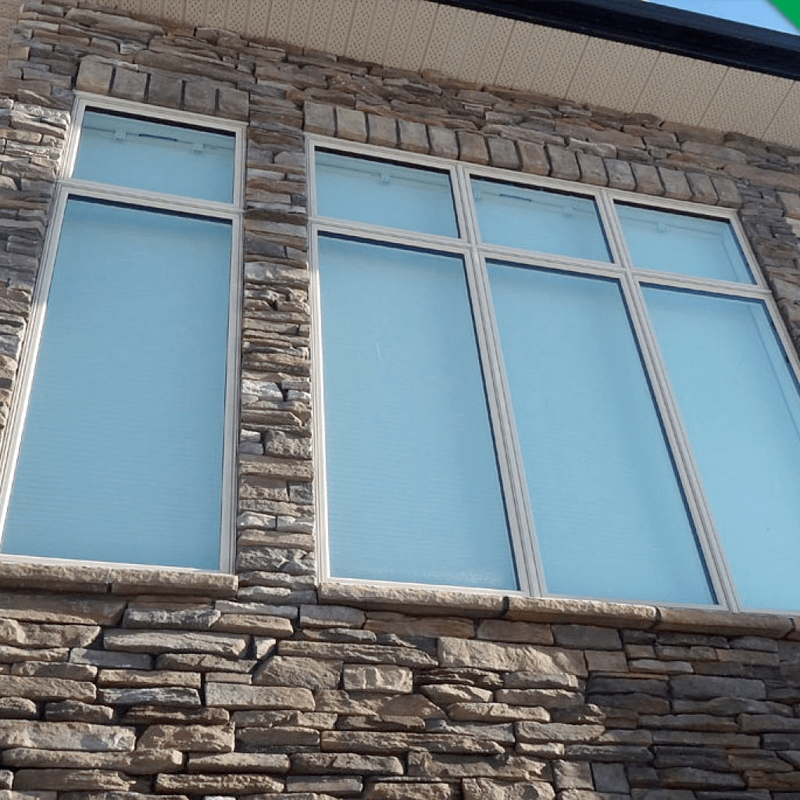 Vinyl With No TrimStone up against window frame. 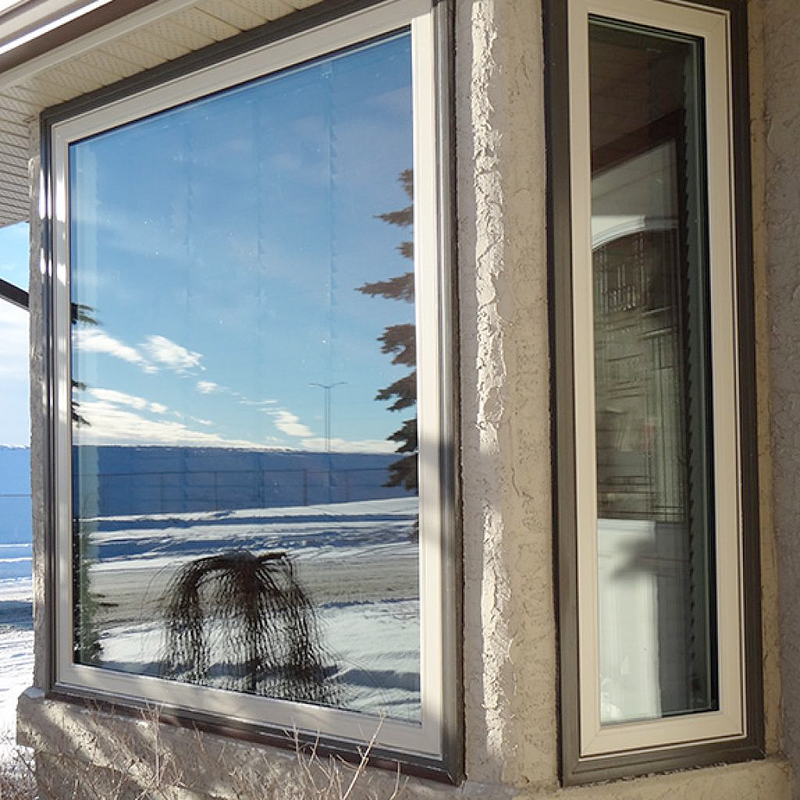 Window is Desert Sand exterior, White interior with Low E triple pane glass. 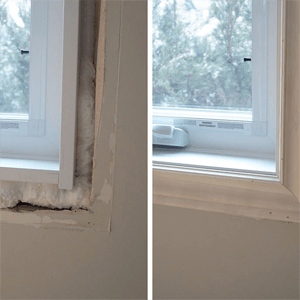 White Vinyl WindowLeft photo: spray foam that adds insulation. Right photo: window finished with interior primed casing trim. 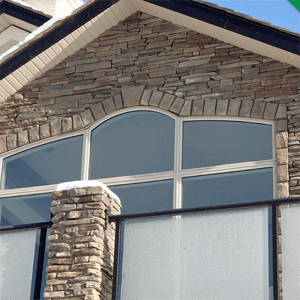 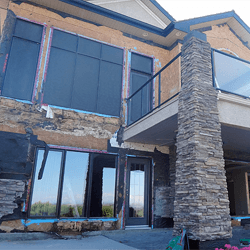 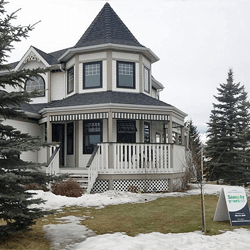 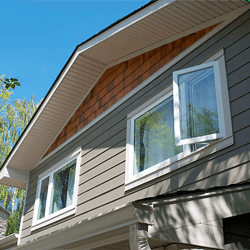 Vinyl Windows With Black Capping TrimWindows are Black exterior, White interior and Low E dual pane glass. White grilles between the glass.